Instructions: In this adventure Yugi is going to ask you 3 questions related on the anime series.You will have 5 minutes to answer the first question. Then another 5 for each other question. 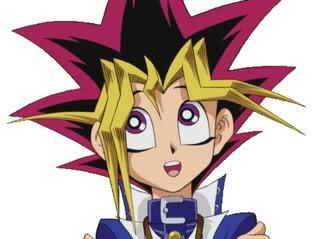 If you lose: If you run out of time or your answer is wrong you will play against Yami Yugi. If you lose the duel you'll lose half of your DP. If you win the duel you are not going to get any prizes. Yugi: Let's have some fun!Any willing members? Also Since You Are a Controller Mod Could I Also Take Kuribohs Generosity And When We Are Both Online Harpie Hunting? Wertar you need to sign up first.